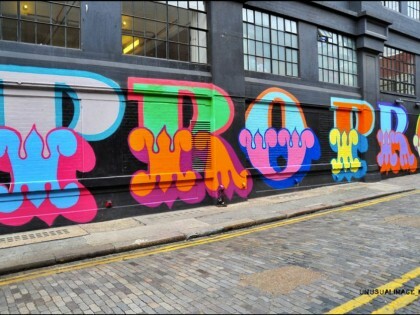 Born in 1970 in London. 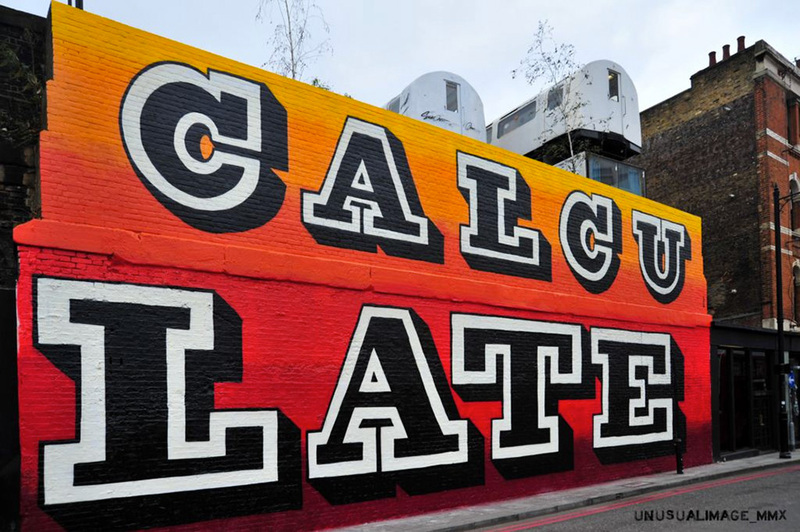 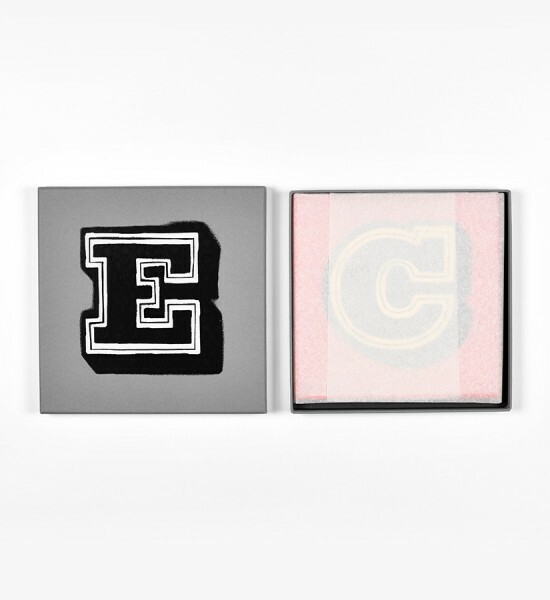 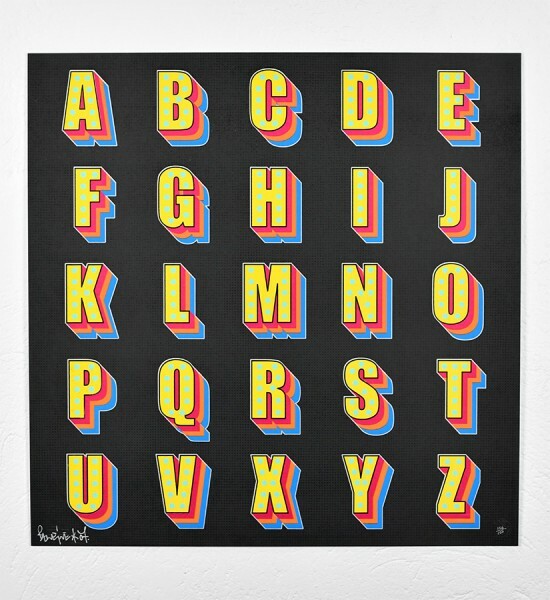 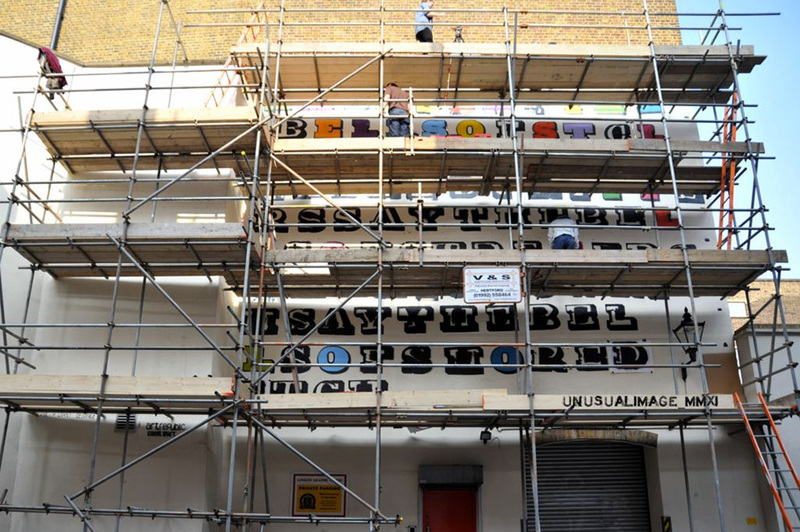 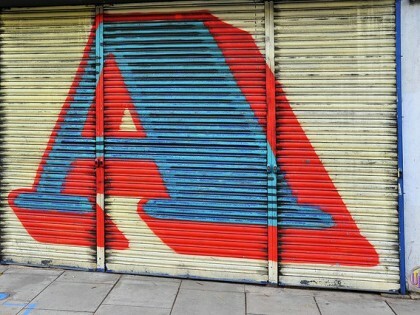 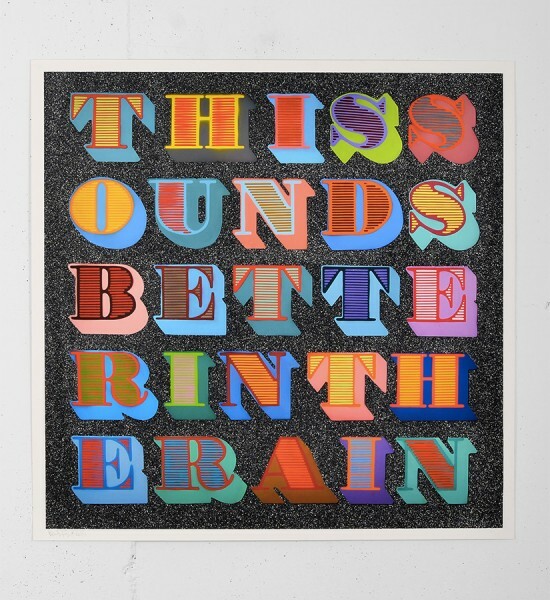 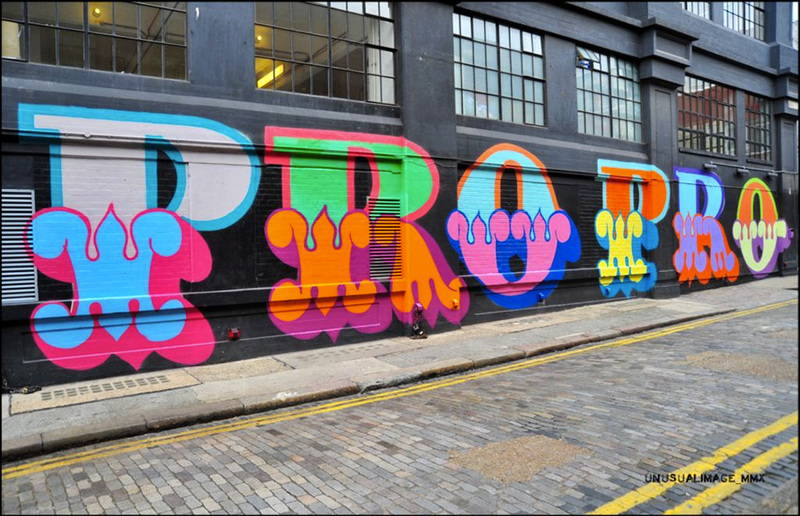 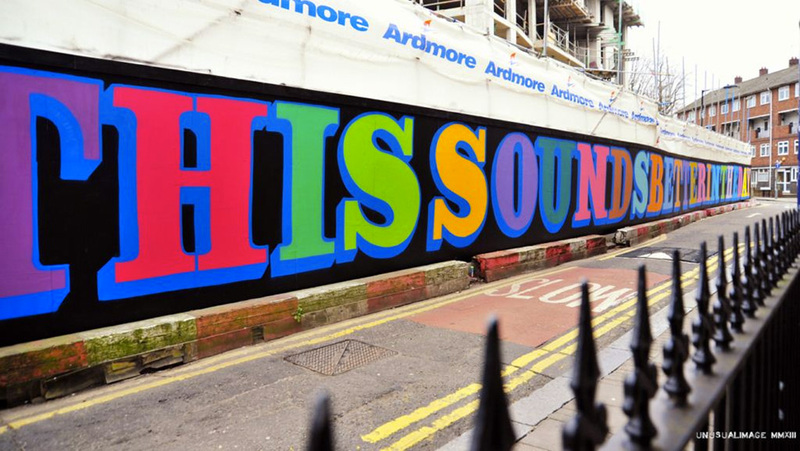 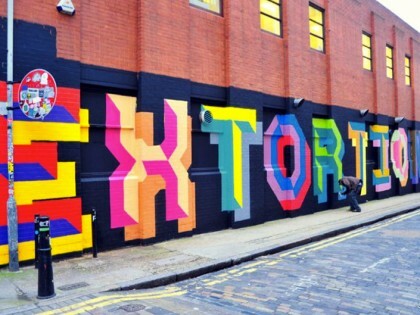 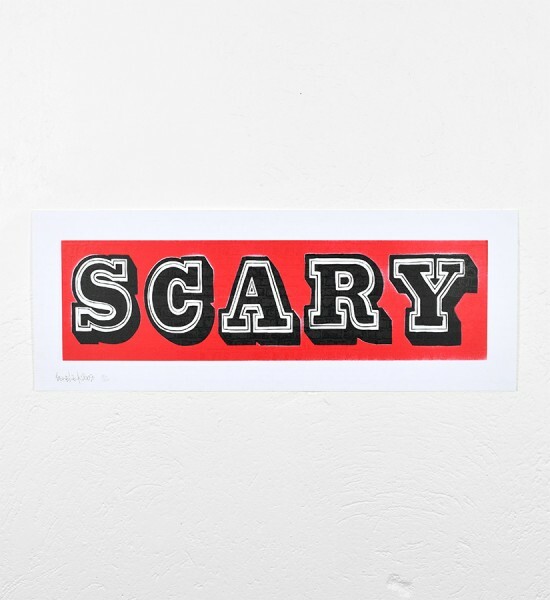 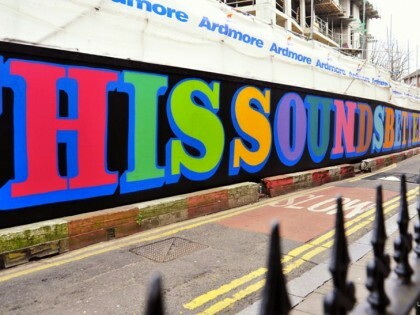 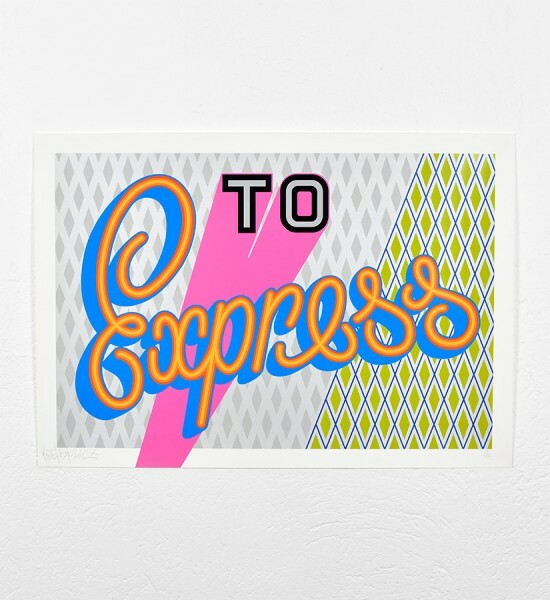 Ben Flynn a.k.a Ben Eine was born in 1970 in London. 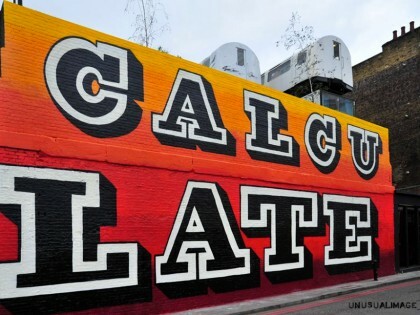 In 1984, he began painting on the trains and walls of his city. 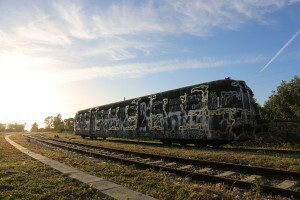 Then he stopped graffiti, following the arrest and detention of two of his friends. 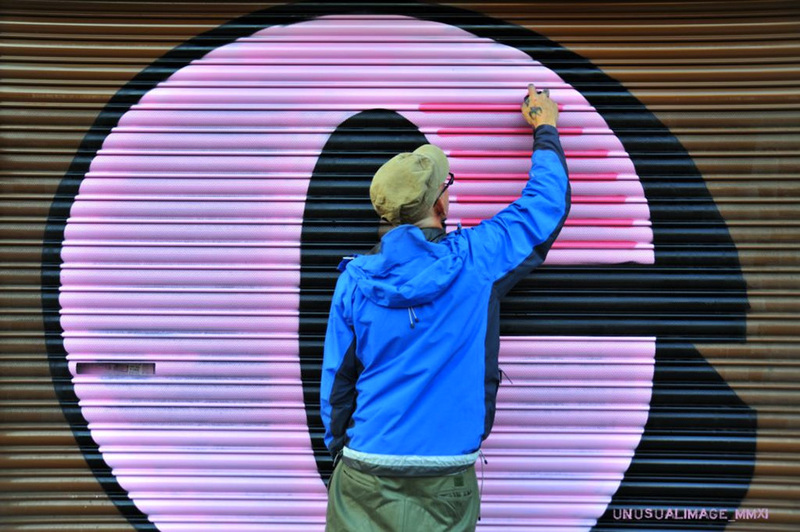 He then started painting exclusively in the street. 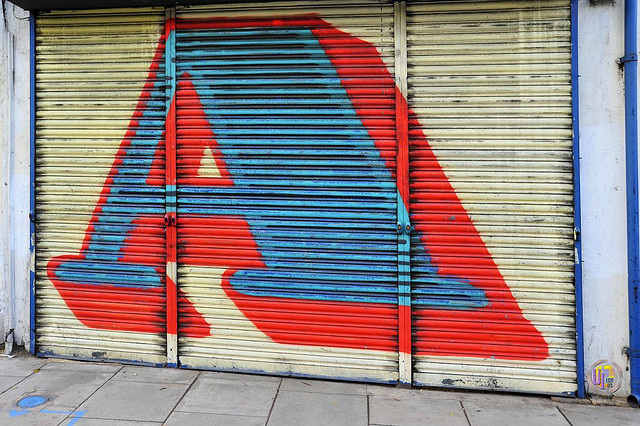 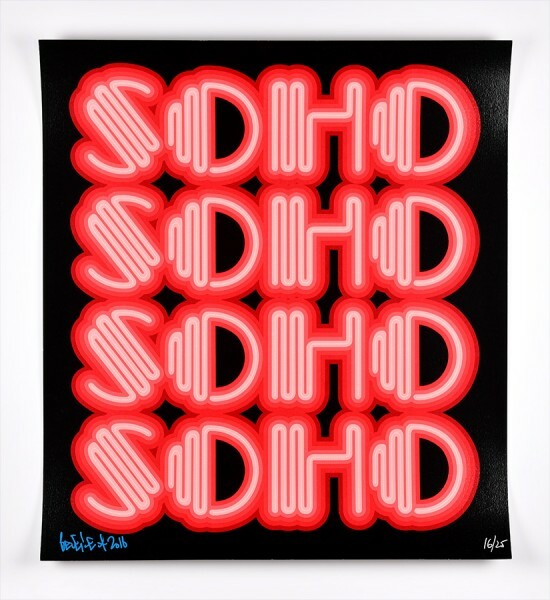 His made his remarkably colorful letters on storefronts and on the walls of London, Los Angeles, Mexico City, Miami, Paris, Tokyo, Dublin, Stockholm… He also became an excellent silk-screen printer, which led him to work with many artists. 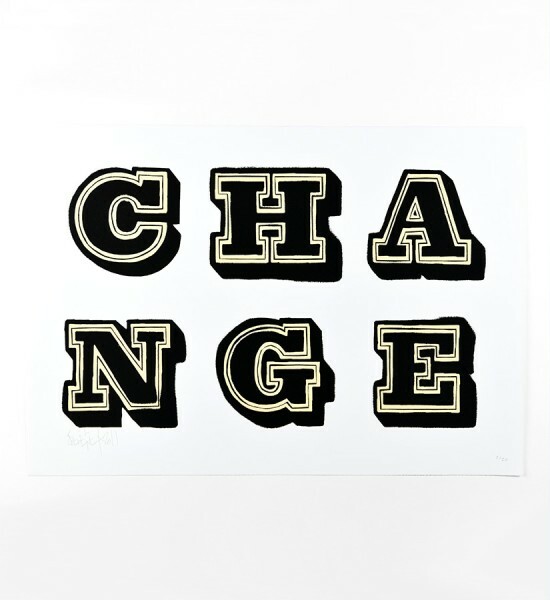 In June 2010, British Prime Minister David Cameron gave Barack Obama one of his paintings as a gift. 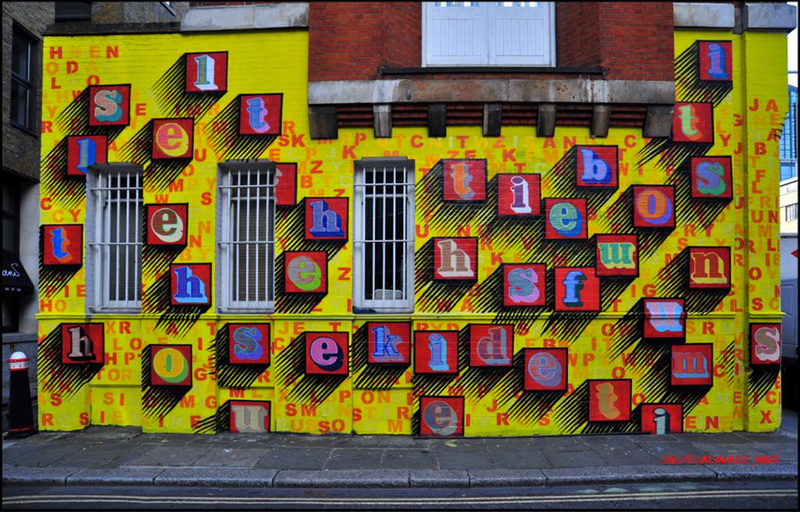 That same year, he painted an entire street of London with each letter of the alphabet. 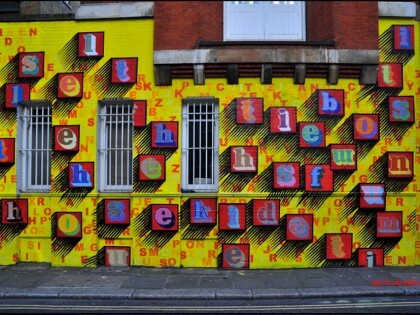 “The Time” wrote that this street now known internationally as a piece of art that has a direct link with the White House. 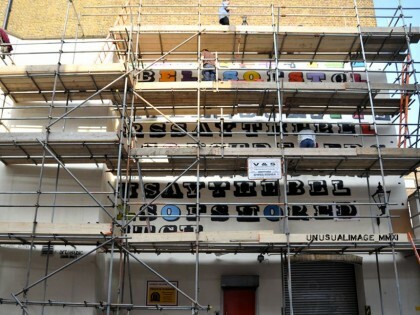 In 2011, he was invited by Amnesty International to create a poster for their 50th anniversary. 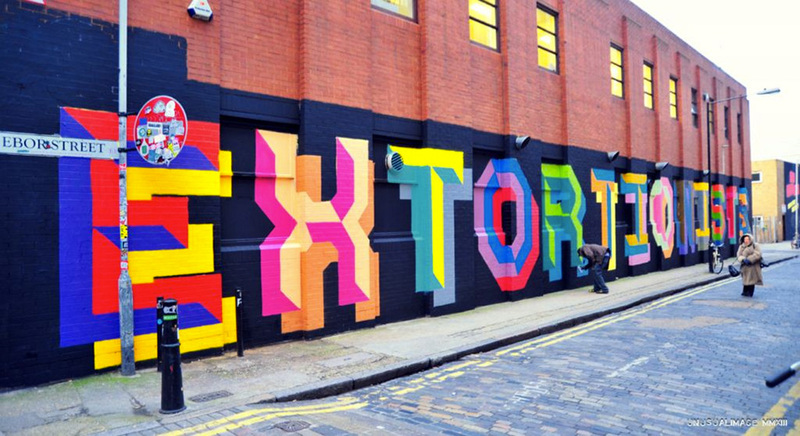 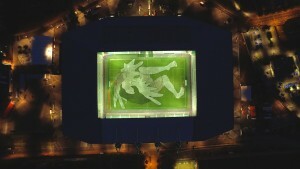 Since then, he has continued drawing letters in the streets and exhibiting his work worldwide.